It's okay if you correct my spelling errors. 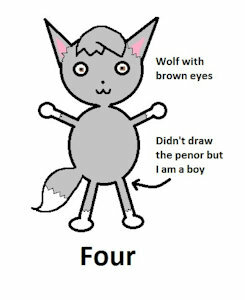 I'm Four, a gray wolf and I'm fairly shy in general. I'm just here to enjoy the art and maybe make a few friends.